We deliver on our promise of technical and service excellence. 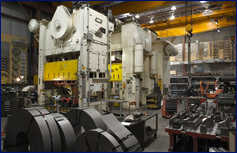 Since our inception in 1986, we have and continued to be a leader in the manufacturing of large complex transfer and progressive stamping dies. Utilizing the latest software and equipment combined with a team of people that are industry leaders, we deliver on our promise of technical and service excellence. 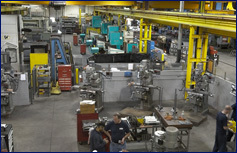 Our 40,000 square feet facility is located in Toronto Canada - We have two bays with 20 ton crane capacity ,also four 10 ton and three 5 ton cranes. Dietron’s engineering staff consists of some of the finest designers in the industry. 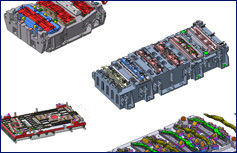 Concept through completion, we take advantage of the latest in die technology to simulate the die process.